Some lesson plans and activities have been written as suggestions and discussion starters. Of course, teachers are the expert when it comes to their own students and school community, so please modify and customise these to suit your classroom. These lessons are part of a series that aim to showcase the Living Archive of Aboriginal Languages and to demonstrate ways to embed Indigenous knowledges into mainstream learning areas authentically. 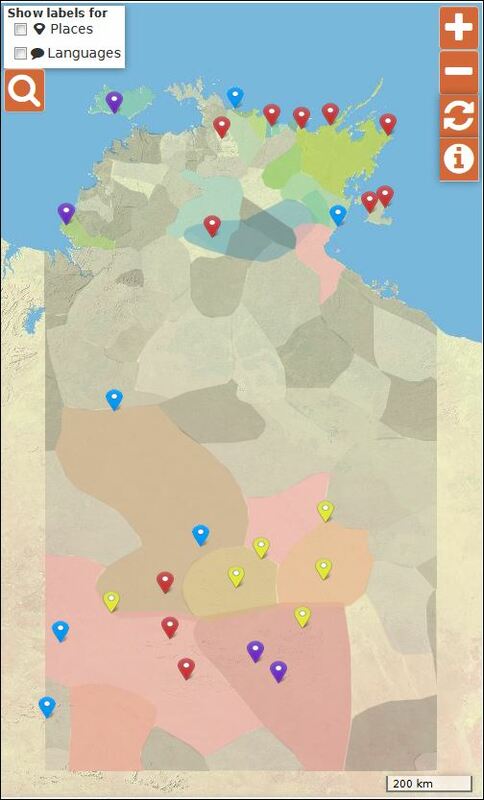 We hope that these suggestions and resources inspire teachers to engage with the Living Archive of Aboriginal Languages and to incorporate Aboriginal and Torres Strait Islander histories and cultures into the teaching and learning program. The relevant extracts from the Australian Curriculum are incorporated where possible to situate the lesson in the appropriate context. We recommend that teachers use local resources and consult with local Indigenous groups wherever possible, but we have provided some supplementary resources in case teachers don’t have easy access to such materials. We look forward to hearing how you have used these suggestions with your class and how you have tailored your teaching and learning activities to meet the needs of your students and the demands of your school. Please share your experience with us and we can add your ideas to this page. Diagnostic tool for Kriol speakers – see blog posts here and here, instructions here.